While the potential of social networking sites to contribute to educational endeavors is highlighted by researchers and practitioners alike, empirical evidence on the use of such sites for formal online learning is scant. To fill this gap in the literature, we present a case study of learners’ perspectives and experiences in an online course taught using the Elgg online social network. Findings from this study indicate that learners enjoyed and appreciated both the social learning experience afforded by the online social network and supported one another in their learning, enhancing their own and other students’ experiences. Conversely, results also indicate that students limited their participation to course-related and graded activities, exhibiting little use of social networking and sharing. Additionally, learners needed support in managing the expanded amount of information available to them and devised strategies and “workarounds” to manage their time and participation. Veletsianos, G. & Navarrete, C. (2012). Online social networks as formal learning environments: Learner experiences and activities. 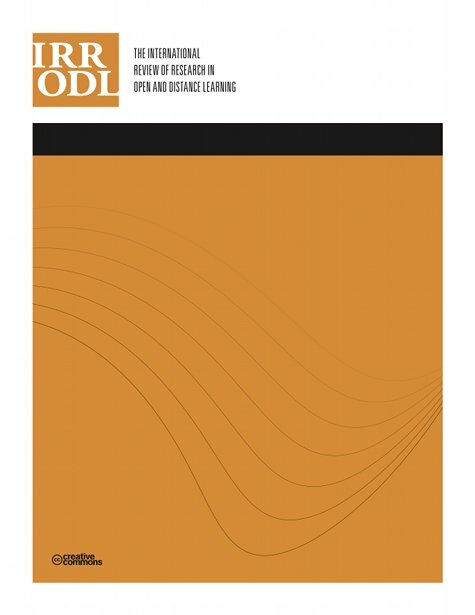 The International Review of Research in Open and Distributed Learning, 13 (1), 144-166. Athabasca University Press. Retrieved April 23, 2019 from https://www.learntechlib.org/p/49186/. Ajjan, H., & Hartshorne, R. (2008). Investigating faculty decisions to adopt Web 2.0 technologies: Theory and empirical tests. The Internet and Higher Education, 11(2), 71–80. Brady, K.P., Holcomb, L.B., & Smith, B.V. (2010). The use of alternative social networking sites in higher educational settings: A case study of the e-Learning benefits of Ning in education. Journal of Interactive Online Learning, 9(2), 151–170. Clark, R.E. (1983). Reconsidering research on learning from media. Review of Educational Research, 53(4), 445–459. Conole, G. (2010). Facilitating new forms of discourse for learning and teaching: Harnessing the power of Web 2.0 practices. Open Learning, 25(2), 141–151. DeSchryver, M., Mishra, P., Koehleer, M., & Francis, A. (2009). Moodle vs. Facebook: Does using Facebook for discussions in an online course enhance perceived social presence and student interaction? In I. Gibson et al. (Eds. ), Proceedings of Society for Information Technology& Teacher Education International Conference (pp. 329–336). Chesapeake, VA: AACE. Doering, A., & Veletsianos, G. (2008). Hybrid online education: Identifying integration models using adventure learning. Journal of Research on Technology in Education, 41(1), 101–119. Galusha, J.M. (1997). Barriers to learning in distance education. Interpersonal Computing& Technology, 5(3–4), 6–14. Garrison, R., Anderson, T., & Archer, W. (2000). Critical inquiry in a text-based environment: Computer conferencing in higher education. The Internet and Higher Education, 2(2–3), 87–105. Glaser, B.G., & Strauss, A.L. (1967). The discovery of grounded theory. Chicago: Aldine Publishing. Greenhow, C. (2011). Online social networking and learning. International Journal of Cyber Behavior, Psychology and Learning, 1(1), 36–50. Greenhow, C., & Robelia, B. (2009). Old communication, new literacies: Social network sites as social learning resources. Journal of Computer-mediated Communication, 14(4), 1130–1161. Greenhow, C.G., Robelia, B., & Hughes, J. (2009). Learning, teaching, and scholarship in a digital age Web 2.0 and classroom research: What path should we take now? Educational Researcher, 38(4), 246–259. Lane, L. (2009). Insidious pedagogy: How course management systems impact teaching. First Monday, 14(10). Lave J. & Wenger E. (1991) Situated learning: Legitimate peripheral participation. Cambridge University Press, Cambridge, UK. Naveh, G., Tubin, D., & Pliskin, N. (2010). Student LMS use and satisfaction in academic institutions: The organizational perspective. The Internet and Higher Education, 13(3), 127–133. Peters, O. (1992). Some observations on dropping out in distance education. Distance Education, 13(2), 234–269. Schroeder, A., Minocha, S., & Schneider, C. (2010). The strengths, weaknesses, opportunities and threats of using social software in higher and further education teaching and learning. Journal of Computer Assisted Learning, 26(3), 159–174. Selwyn, N. (2009). Faceworking: Exploring students education-related use of Facebook. Learning, Media and Technology, 34(2), 157–174. Liu, X. (2006). Teaching courses online: A review of the research. Review of Educational Research, 76(1), 93–135. Veletsianos, G. (2011). Designing opportunities for transformation with emerging technologies. Educational Technology, 51(2), 41–46. Vygotsky, L.S. (1978). Mind in society. Cambridge, MA: Harvard University Press. Wang, Q.Y., Woo, H.L., Quek, C.L., Yang, Y.Q., & Liu, M. (in press). Using the Facebook group as a learning management system: An exploratory study. British Journal of Educational Technology. Webb, E. (2009). Engaging students with engaging tools. Educause Quarterly, 32(4), 1–7. West, R., Waddoups, G., & Graham, C. (2006). Understanding the experiences of instruc-tors as they adopt a course management system. Educational Technology Research and Development, 55(1), 1–26. Wheeler, S., Yeomans, P., & Wheeler, D. (2008). The good, the bad and the wiki: Evaluating student-generated content for collaborative learning. British Journal of Educational Technology, 39(6), 987–995. Whitworth, A., & Benson, A. (2010). Learning, design, and emergence: Two cases of Moodle in distance education. In G. Veletsianos (Ed. ), Emerging technologies in distance education (pp. 195–213). Edmonton, AB: Athabasca University Press.